Despite technology and modern conveniences, many are drowning in a sea of busyness. Gasping for air. Routine becomes a life preserver they hold onto for dear life. Unfortunately, these character traits produce unrealistic expectations of others and you. Overtime increasing isolation and unhappiness. Thankfully, change is possible when you allow Papa to be the author of life. Trusting Him teaches you to live in the present, not the past or future. 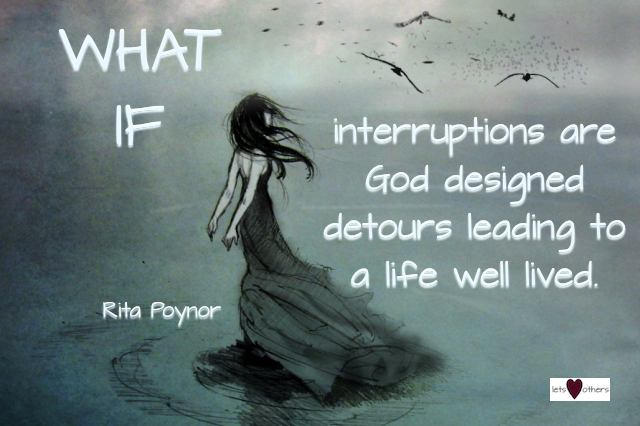 Interruptions are not perceived as negative but divine opportunities to be led by the Holy Spirit. Stress and judgmental conclusions no longer haunt your life. Life is a continuum of opportunities, not disappointments. Busyness no longer is you middle name. Awake each morning knowing your life is in Papa’s loving hands. Trusting Him to create a great and lasting work— a life well lived. and He will make your paths straight and smooth. Removing obstacles that block your way.